THE well being of Nikki Frosts Buckfastleigh team showed no sign of abating at Ideford Arch where she saddled a double with her only two runners. Sporting Rebel, successful twice over fences when with Victor Dartnall, won easily in the hands of 18-year-old Jamie Thomas, having made all the running and scoring an eight length success from Prince De Bersy. Owner Peter Farthing had bought the nine-year-old for himself to ride but a schooling accident which resulted in a broken back means hes unlikely to be in the saddle until the Modbury Harriers hunt members race at Flete Park in May. I bought him at April and hes the best horse Ive ever bought. I was planning to ride him but I will have to wait now, said Farthing who keeps several horses near Torquay but was enjoying his first win as a racehorse owner. 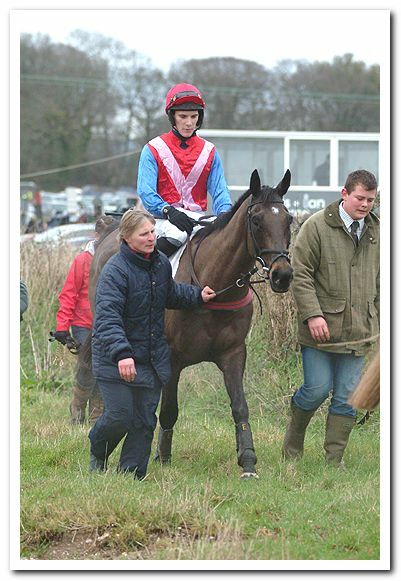 Glacial Call quickly doubled up in the following Exeter Racecourse Intermediate Race with Richard Hawkins on board. 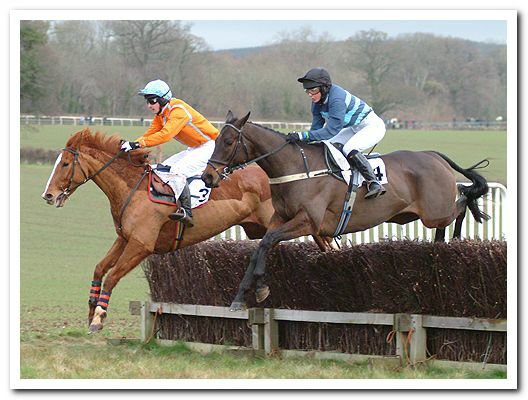 The Frosts had been advised by Michael Hourigan in Ireland to buy the mare as a decent point-to-point prospect. Jane Brake subsequently acquired her to replace Kitley Hassle who has since been sold to a new owner in the Frosts yard. Shes a good fun prospect to have and with time she may run under Rules, said Nikki of the mare who won the race by a distance. Joshua Guerriero took the members race on Arctic Sky who justified his odds on position in the market to win by four lengths. Trainer Mike Vantstone has seven for the season and although the recent icy conditions meant his gallops were frozen, he was able to work the 12-year-old on some grass. Hes come in with a new lease of life this season and has been working like a demon, he said. An incident packed young horses maiden race went to Whodouthinkur and Sam Allwood who were left in front following the last fence departure of Imperial Falcon and Susie Berry. Trained by Marie McGuiness, the four-year-old son of Beckett cost just 800gns at Ascot Sales. We havent pressed too many buttons with him yet as hes very young but hes done everything right. We did get a little bit lucky with Imperial Falcon going at the last but hes got plenty of time to strengthen and improve now, said Marie. Susie Berrys had a day to forget when her arm came out of its socket as she went to mount On The Double in the concluding open maiden race and was taken to hospital. The race went to the Lucy Gardner owned and trained Turning Tide with William White in the saddle. I hit the deck and got kicked in the back and mum wouldnt let me ride him so thats why Will rode. We knew he was well. We put blinkers on him at home yesterday and I couldnt stop him up the gallops, said Lucy. The next meeting in the Devon and Cornwall Area is on Saturday, January 9 at Wadebridge. First race is 12pm. 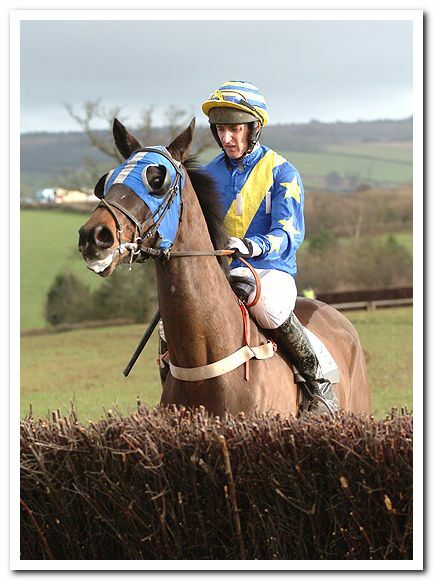 Arctic Sky (Joshua Guerriero) 1; Learning The Blues (Sam Allwood) 2; Wembury Point (Ryan Bliss) 3. Trainer, Mike Vanstone; Owner Mrs N Sellman; Distances 4l, dist; Time, 6 mins 50 secs. Fully Loaded (Emma Pugsley) 1; Shady Hollow (Malcolm Harding) 2; Mvezo (Tom Flint) 3. 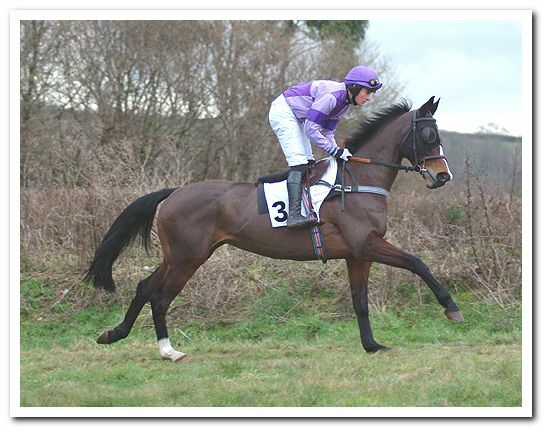 Trainer, Gerald Greenway; Owner, Mr and Mrs A Pugsley; Distances, 10l, 8l; Time, 6m42secs. Whodouthinkur (Sam Allwood); Terminalexcitement (Richard Hawkins) 2; Shoot For Home (Joshua Guerriero) 3. Mrs M McGuiness; Mr R House; 2 1/2l, 15l; 5.22. Sporting Rebel (Jamie Thomas) 1; Prince De Bersy (Ben Robarts) 2; Takotna (Polly Gundry) 3. Nikki Frost; Peter Farthing; 8l, dist; 6.37. Glacial Call (Richard Hawkins) 1; Deloughtane (Alice Pearn) 2; Jafaro Des Bois (William White) 3. Nikki Frost; Mrs J Brake; Dist, hd; 6m32. 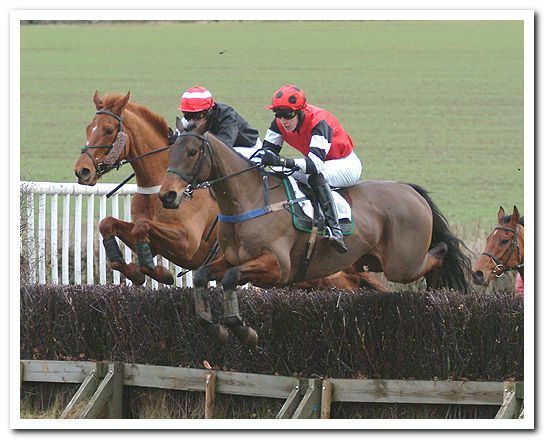 Turning Tide (William White) 1; Safe Catch (Paul John) 2; Escape Wall (W Potter) 3. Miss L Gardner (owner/trainer); 1 1/2l, dist; 6.42.